This past month, Governor Jerry Brown signed a historic executive order to make California carbon free by 2045. The recently passed bill aims to take dramatic steps towards reducing the negative impacts of climate change, and will require the entirety of California’s electricity come from clean, carbon free sources. Here at Planet OS, we provide the big data infrastructure to help renewable energy companies transform the way climate data is used in their organizations. As our team members have extensive experience working with climate and renewable energy related data sets, we want to explore the feasibility and potential execution of this bill. In light of this, we are releasing a new series of blog posts exploring both how California can achieve this ambitious goal and what a Carbon-Free California will look like in terms of climate and renewable energy. In this week’s blog post, we will first examine the wind energy production in the past, present, and future for the Golden State. In a transition to carbon-free energy, wind energy offers the most promise and potential for growth in California. Unlike solar, which only generates energy during daytime and is difficult to implement for large scale energy generation, wind is currently the more powerful and consistent source of energy across the U.S. Yet, despite this, wind energy production is largely untapped in California. If California is to reach its carbon free goals by 2045, it needs to utilize this abundant source of clean energy. Taking this into account, we want to see how consistent wind production is across each month of the year in California. We know that with solar power, energy production not only fluctuates drastically on a daily basis, but on a monthly basis as well. Would wind energy also fluctuate with regular seasonal weather patterns? This week, our Data Integration Engineer, Eneli Toodu applied the ERA5 dataset available on the Datahub to visualize the monthly mean wind and solar production in California. Plotted on the graph below, each bar represents the average energy production per month from 2000–2018 for wind (dark blue) and for solar (teal). As we look from month to month, production percentages for wind energy stay quite high, with the lowest production in January at 65% of maximum performance and peak production in June at 100%. This information is quite promising, wind production both stays above 60% of maximum performance on average through the year and maintains a moderate level of consistency through the change in seasons. 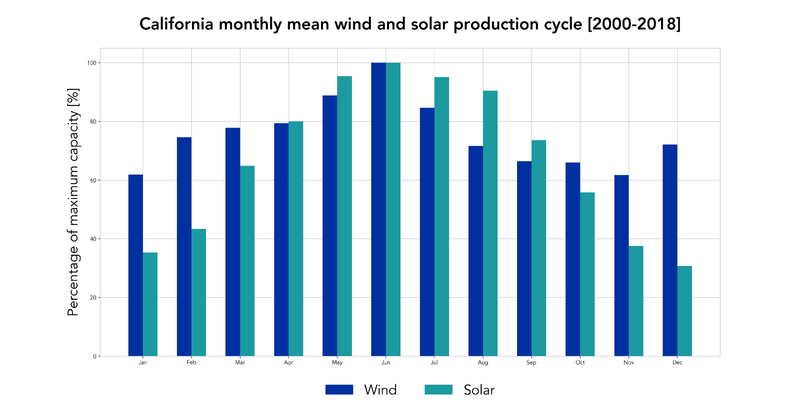 While solar does produce high percentages of its maximum capacity in the summer months, it fails to meet the production levels that wind does from October through March. Notably, this season of low solar production occurs during the months where California residents need power for necessities like heat and light most. While batteries and other forms of energy storage is a potential remedy, the technologies are still insufficient to meet power demands during these larger seasonal changes. With the exciting vision of a carbon-free California on the horizon, wind power presents itself as one of the key solutions. Not only does it offer consistency and large scale production potential, but its data is also available for analysis and energy production optimization on Datahub. The intersection of data and renewable energy may in fact be the missing piece in achieving California’s goals. Governor Jerry Brown had said himself that achieving carbon neutrality requires “technological changes that don’t exist yet” and his measure is aimed at bolstering their innovation. With the demand for technological progress in the realm of renewable energy evident, Planet OS has made it its mission to help apply the vast amounts of available data to develop technologies that increase power production revenue, reduce costs, and improve forecasting, safety, and trading for renewable energy companies. With this in mind, Planet OS offers Powerboard, a ground-breaking program that can augment real-time operational sensor data from wind-turbines. Powerboard has the ability to utilize data to help companies transform data assets into actionable insights. 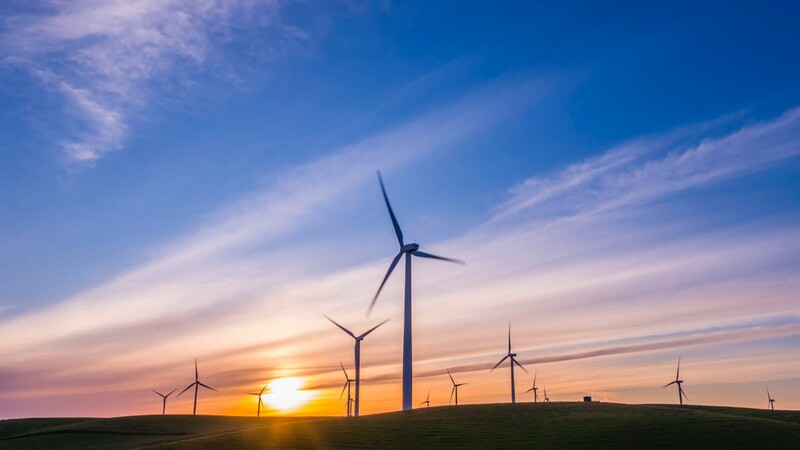 Through the consolidation of wind farms’ operational data, enriched with complementary third-party datasets and advanced analytics, it becomes easier for companies to produce renewable energy more efficiently and effectively. These technologies (and even more to come) help drive fossil fuel based energy sources to obsolescence and bring about greener, carbon-free California. 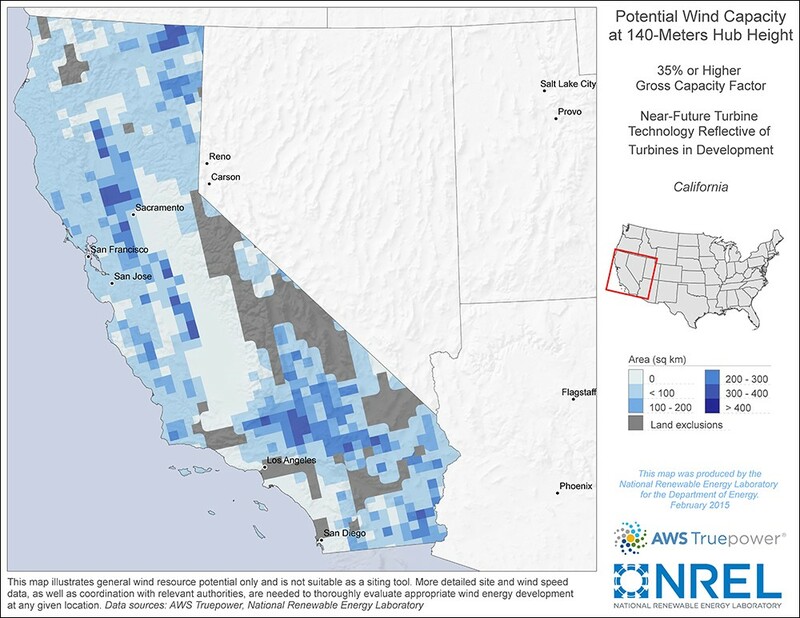 Is wind the premier source of renewable energy for California’s Carbon-Free by 2045 initiative? Comment below and let us know what you think! For those who require a consolidated, easy to use, resource for accessing data not currently available on Datahub, please reach out to the team and we will work toward bringing it onboard. If you like to receive email updates when new data becomes available, subscribe to the Planet OS newsletter via the form at the bottom of our landing page. Thanks to Nishtha Sharma and Ilya Khamushkin.